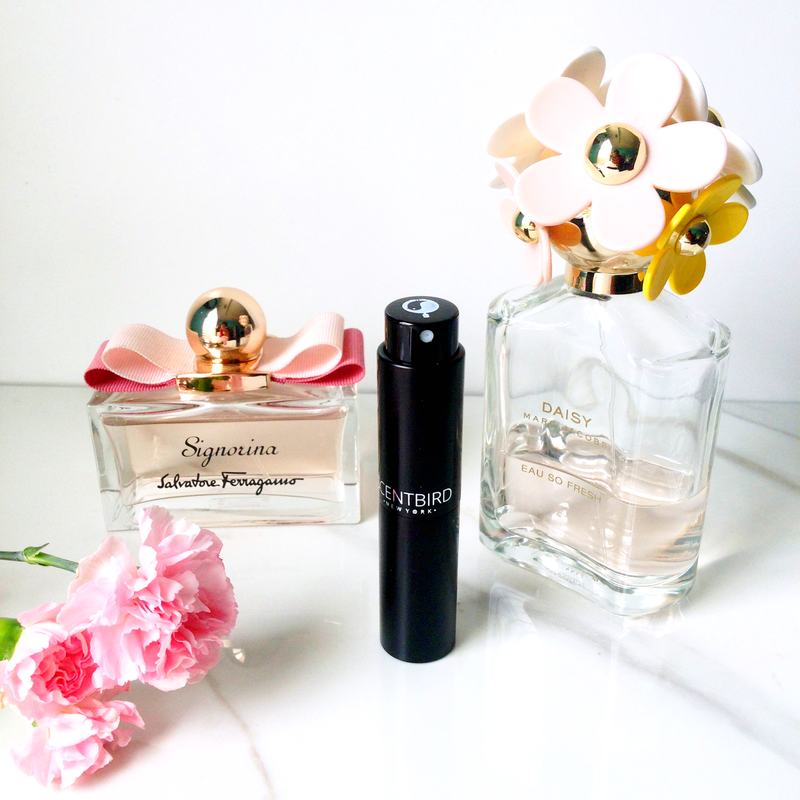 As a girl, you grow up hearing that every woman should have a signature scent. I definitely stole spritzes of my mom's perfume before I stopped my daily use of Bath & Body Works body splash and bought my own real eau de parfum. Since then, I've been married to Daisy by Marc Jacobs and Signorina by Ferragamo. They're both floral, feminine and light enough for spring days. Also, they're not cheap. When good perfume costs a pretty penny, you don't go running out to buy a new bottle all the time. That's where Scentbird comes in. When good perfume costs a pretty penny, you don't go running out to buy a new bottle all the time. 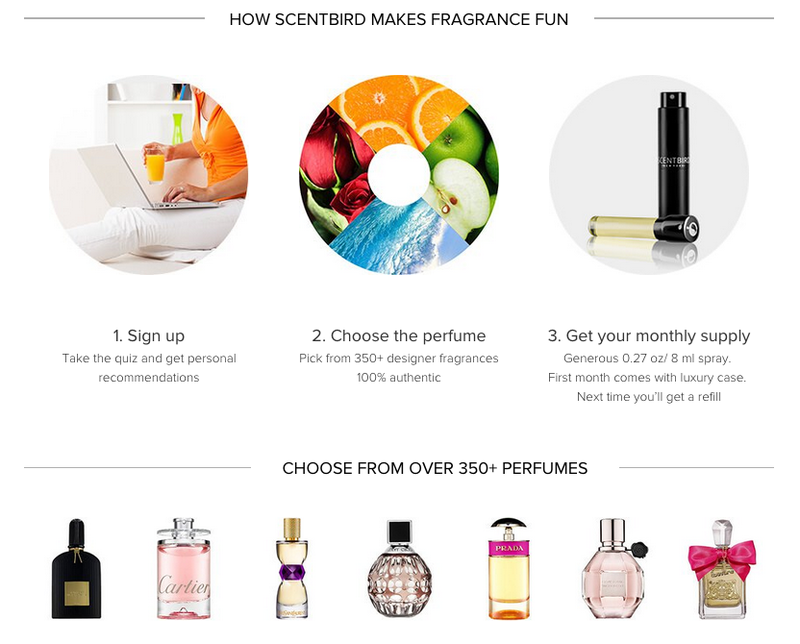 Scentbird is a simple perfume subscription. Once you take the quiz (that was my favorite part!) and find a scent perfect for you, you subscribe and get your first bottle. Or, if you already know what scent you want to try, you can just request it. I chose Yellow Diamonds by Versace because, hello Versace! Scentbird provided a one-month-sample of their service for this review. All opinions are my own. Happy Friday! Daisy is one of my faves. What a great concept!! I definitely need a new perfume and might need to try this out! What a fun idea! I love trying out new scents, as I'm still on the search for that one I truly feel is my "signature scent"
I have Versace Bright Crystal and love it! But my all time fav and my signature is Miss Dior! love trying out new scents. I haven't bought a new one in a while! Sounds like a great way to pick your signature perfume! I'm always trying new scents, this is a great way to find new ones! Great post, always looking for a new scent! Such a cool concept! I'll definitely check them out!